During the period from the communist takeover in 1949 until 1978, the Chinese economy was tightly regulated: output quotas, resource allocations, and prices were set centrally according to a plan formulated by the central government. 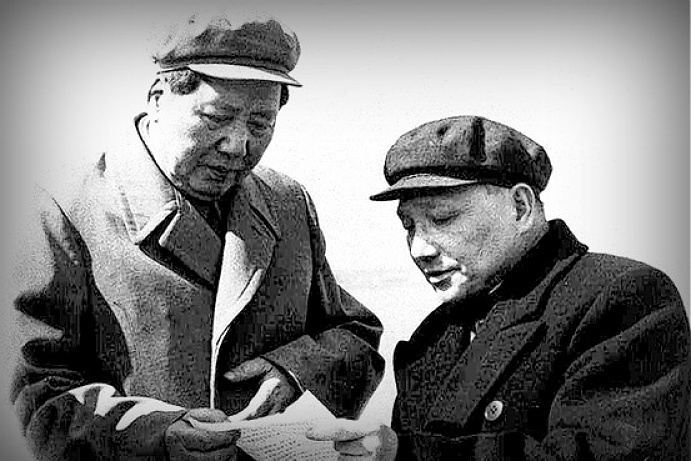 This reflected the initial desire of Mao Zedong's government to follow the Soviet model of organizing the economy. However, as argued by Xu (2010), China started to deviate from the Soviet model during the economic and political upheavals of the Great Leap Forward (1958–1961) and Cultural Revolution (1966–1976). Rather than plan and regulate the economic activity from the center, the central government granted wide-ranging economic autonomy to the provincial governments. This was to encourage the regions to compete with each other in order to deliver or exceed their quota of output. As a result, China became a collection of regional economies rather than a single centrally-planned Soviet-type economy, with the central government in Beijing retaining control over political appointments and decisions while devolving much of economic policy making to the provinces. Another important change that took place after Mao's death was the liberalization of the economy. This was initiated by Deng Xiaoping in 1978 and was designed to be gradual not only with respect to time but also in space. Initially, the liberalization favored the coastal regions and fostered their development ahead of the rest of the country. Most notably, the central government directed foreign investment to a handful of SEZs, all of which were based on the cost. In effect, the SEZs were allowed to be increasingly driven by market forces while central planning remained in force in the rest of the country. After the SEZs proved successful, liberal policies were gradually extended beyond them, first throughout the coastal provinces and later throughout all of China. This helped stimulate the rapid development of the coastal regions and increased their competitiveness compared to the interior (Poncet, 2005). At the same time, the inland provinces continued to export raw materials to the coastal areas at fixed (low) prices, which translated to a net transfer of resources from the interior regions to the manufacturing provinces on the coast. The less developed regions responded by pursuing a policy of industrialization through import substitution, as decentralization combined with the fact that most of the tax revenue accrued from industrial production made them keen to develop their industrial base (Lee, 1998; Poncet, 2005). An important element of the Maoist regime was the household registration (hukou) system, which severely restricts the ability of Chinese citizens to move and even travel within China. Under this system, each person was tied to a particular area and could move to a different area only with the permission of the authorities of both origin and destination regions. Despite progressively accelerating economic liberalization, the hukou system has remained in place even after 1978. Unlike during the Maoist period, rural workers now can move to and take up jobs in the urban areas. However, changing their hukou to the destination region remains difficult. This means that they can only receive public services in their region of origin: health care eligibility, children's education, and pension claims, most notably, are not portable. Despite this, labor mobility has been steadily increasing, especially from the inland rural to coastal urban regions (Tang, 1998). In all, China is an economy with a single currency but capital or labor are not perfectly mobile. Its provinces are subject to centralized political rule but are growing more and more decentralized on the economic front. © 2015 The Authors. Published by Elsevier Inc. This excerpt is taken from an open access article published under the CC BY 4.0 license. Xu, C. (2010). The institutional foundations of China's reforms and development. CEPR discussion paper no. 7654. London: CEPR. Tang, K.K. (1998). Economic integration of the Chinese provinces: A business cycle approach. Journal of Economic Integration, 13, 549–570. For example, the central government's share of expenditures declined from 51% in 1978 to 28% in 1993 (Ma and Norregaard, 1998).